Betty was born Oct. 30, 1921, in Granite City, to Frederic and Edith (Zippel) Lampe. She married Robert A Crawshaw in Jackson, Missouri, on Aug. 29, 1942. Together they shared sixty-seven years of marriage. Betty was preceded in death by her husband and parents. She is survived by daughter, Bettina Mall (Burt) of Long Grove; son, Robert Crawshaw (Nancy) of Denton, Texas; daughters, Bonnie Bailey (Stephen) of Carbondale, and Beth Crawshaw of Apex, North Carolina; grandchildren, Derek Mall, Dane Mall, Danielle Colan, Lisa Masters, Caryn Bramhall, Matthew Bailey, and Nathan Bailey; along with 14 great-grandchildren. 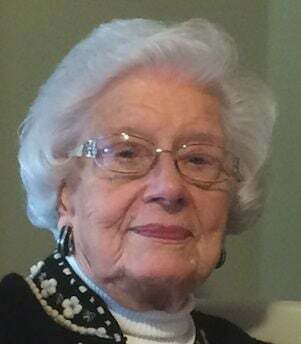 Betty was a member of First Christian Church, of Carbondale, PEO, Garden Club, Bridge Club and Antique Study Club. She was also a past-president of the Hospital Auxiliary and delivered Meals on Wheels. She was a strong, kind, selfless, and generous woman. She loved to read, garden, collect antiques, play cards, and host holiday celebrations with her family. She will be missed by all who knew her. It was her wish to be cremated. A private family celebration of life will be at a later date. Memorials may be made to the Old Six Mile Museum in Granite City, which was the Zippel family homestead. Memorials may be sent to Old Six Mile Museum, in care of Sharon Engelke, 2914 Yale Drive, Granite City, IL 62040.